This statistic displays a ranking of websites listed by share of visits in the United Kingdom (UK) during September 2013. 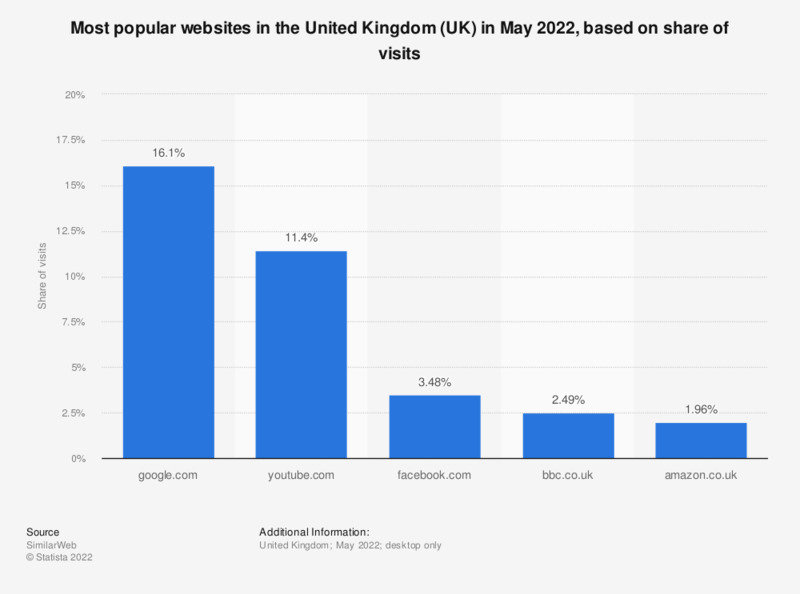 Google UK ranked first with a 6 percent share of visits. Facebook came in second with 4.17 percent of visits that month.